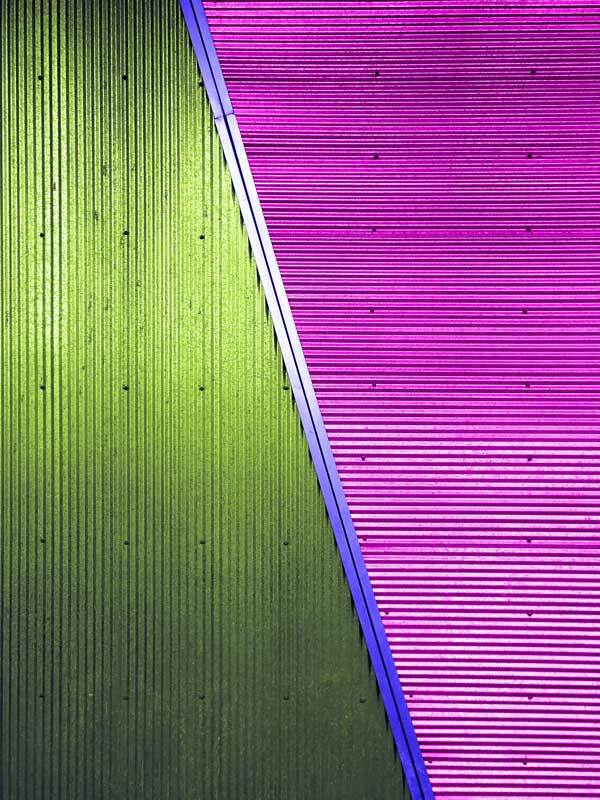 Wall design in corrugated steel at the Wharf in Orange Beach, Alabama with some color enhancements I added in Photoshop. I didn’t even see that. Only the pattern. Row upon row in colorful fields with a two lane road running through.